Fancy trying a new service with us? If you’re completely new to Luminate, or have been before, but want to try a new service then we have a great offer for you. 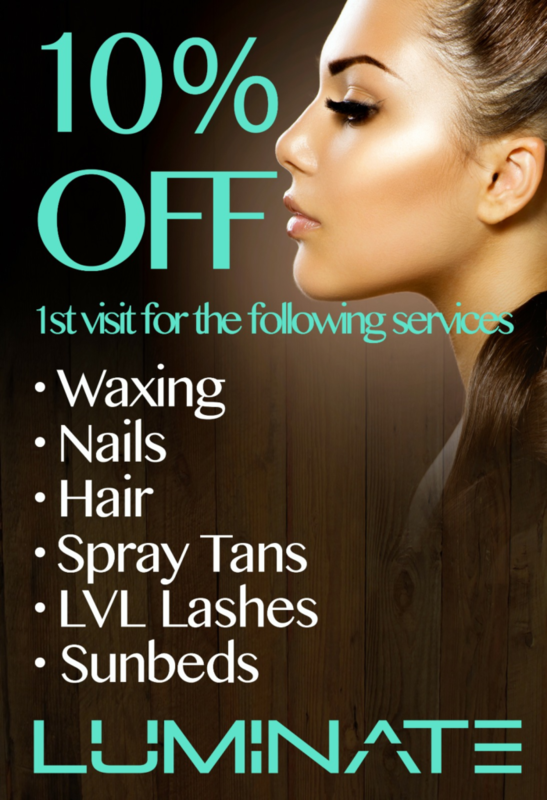 10% OFF waxing, sunbeds, nails, hair, Lvl lashes and spray tanning.